Fans of Brian K. Vaughn and Fiona Staple’s epic Image comic book series SAGA will be excited to know that a killer new SAGA T-Shirt Collection from Skybound will be making its world debut at San Diego Comic-Con 2017! 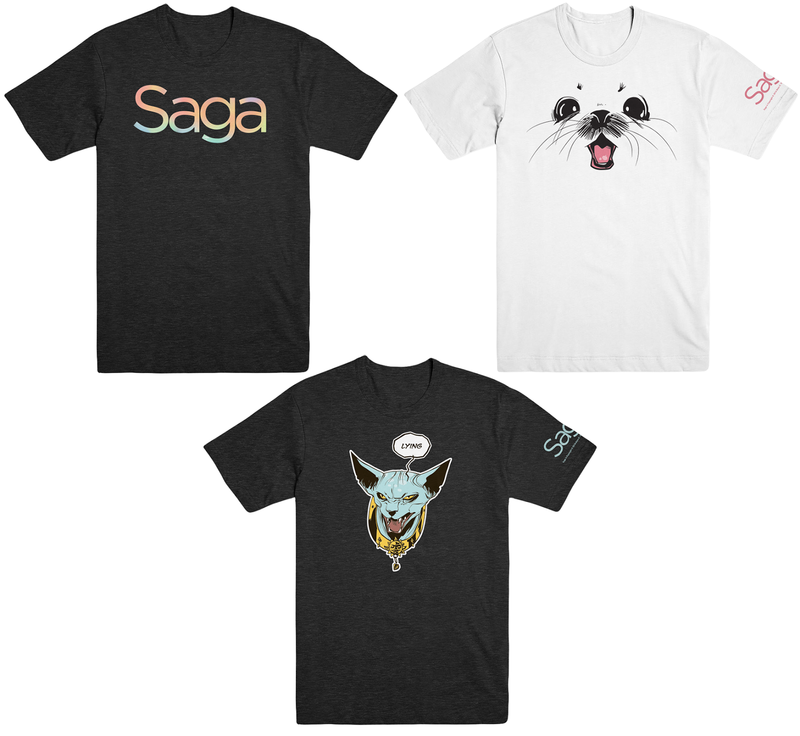 The Saga T-Shirt Collection includes a super cute Ghus Face tee, a SAGA Foil Logo tee and matching Women’s Tank Top, as well as the previously announced Lying Cat t-shirt. All four tees seen here can be purchased at the Skybound SDCC booth #2729 in various sizes for $25 each.